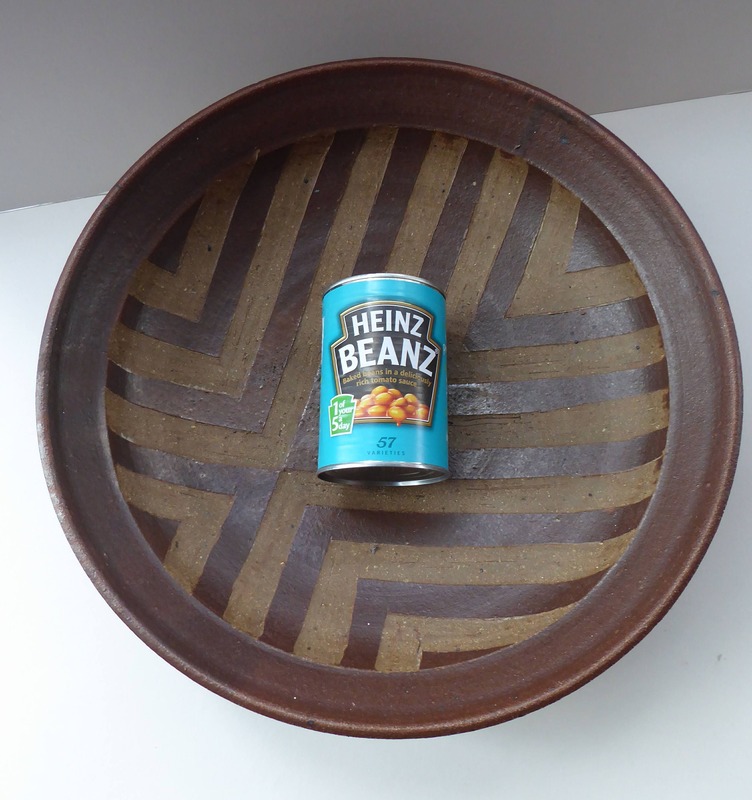 This is a highly collectable piece of British studio pottery. 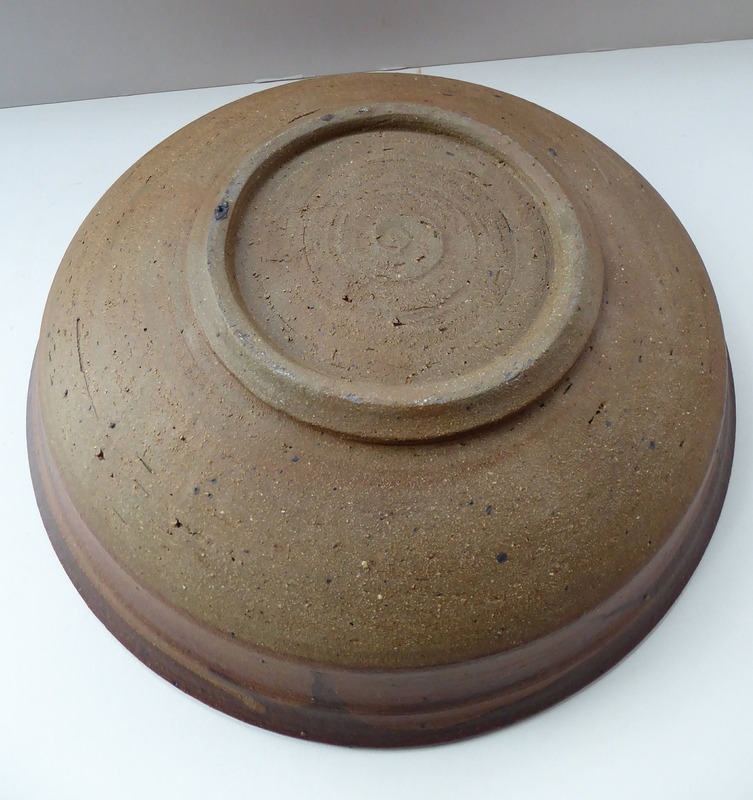 This large stoneware dish has an attractive chevron / striped pattern and is very large - being some 37 cm in diameter. 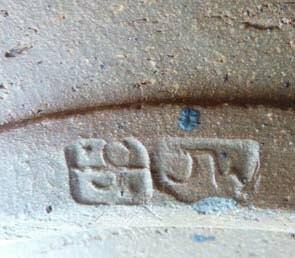 The bowl is stamped with the pottery seal for St Ives - and with the JW mark, as photographed. 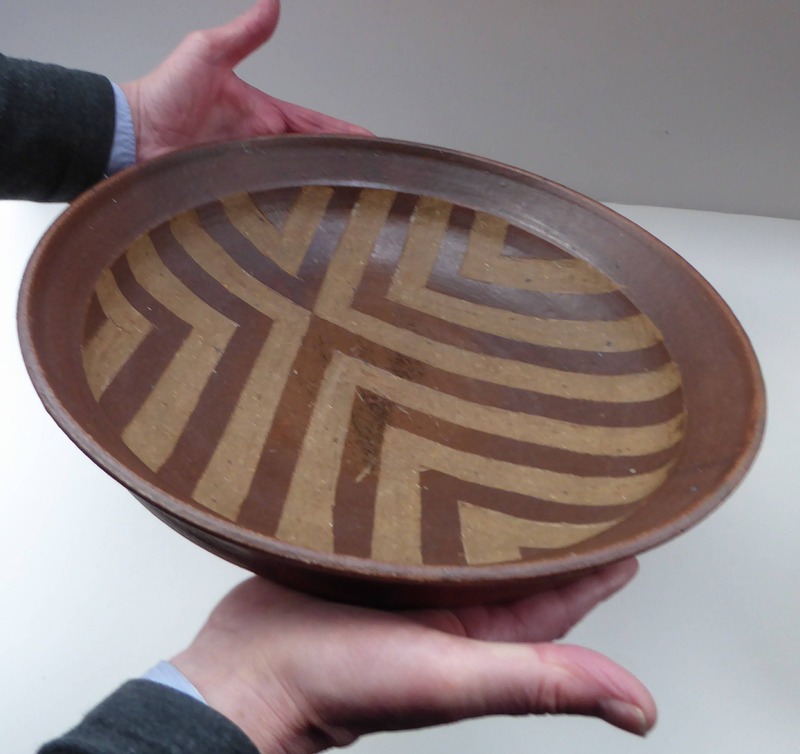 This is a rare and early bowl by the potter, dating to the mid - late 1970s. This is reflected in my asking price. Sadly, due to the size and weight of this item - I would only be able to post it to UK addresses. Biographical details: Jason Wason became a potter after travelling the world for eight years with the aim of exploring the cultures of the Balkans, Mediterranean, Middle East and Asia. To pay his way he practiced various crafts in many different places. In 1972 he set up a cooperative with a weaver, a saddler and a jeweler based in Scotland, where he met and married his wife Joanna; it was here Jason started potting. In 1976 he left for Cornwall and was taken on at the Leach Pottery as assistant in the production of domestic pottery thrown on the wheel. After Bernard Leach died in 1979, his wife Janet closed down the production of standard ware but Jason continued to work on individual pieces until he set up his own studio, close to where he still lives, near Lands End. In recent years he has gained a reputation in England as well as Japan, and has exhibited throughout the United Kingdom, Japan, Holland and the USA.